Here I AM beloved ones. it is good once again to have these moments together with you. Yes, today beloveds, is a day of some significance. It is both the end of this, your first month of this year 2014, and the start of a new month tomorrow. In addition to being a turning point in all of our affairs. Which means you finally get to see some tangible and physical manifestations of your many efforts. Please be alert to this fact and watchful. I will not say more but please do watch events around your world. During the next several days of your time what will occur will herald the start of a series of events which unfold in fairly rapid succession. And for which we ask you all to be prepared as best you can be in your respective situations and circumstances. Further, some of you will now be brought up to speed in a far more conscious way. No more blind amnesia - as this one, our Shellee-Kim likes to say. This is for the purpose of being instructed as to how to proceed in the next moments of your time. And how best to serve in your respective posts. We do not see the unfoldment of what is to come as something fearful (and do remember what FEAR stands for: False Evidence Appearing Real) but quite it's opposite. A confirmation of great joy to come as all begins to get rolling in unimagined ways. Through various messengers we have covered the potential occurrences of many scenarios that didn't manifest on your world. In those moments, these were thought by us to be the most likely manifestations in accordance with your collective determination. But, of course, the energy of these would-be events each dissolved away from becoming your manifested reality at these various past points in time. However, our deadline is over and done and we're now playing a penalty (SK: as in a sports match) , if you like. Which has been graced upon us by Source Himself to allow for the perfect execution of that which follows. And WE are so very thrilled that this day dawns at long last and our work together may begin in earnest. Beloveds, YOU are the reasons for the varied postponements. In both the creation of them and in the devising of more workable means that you may achieve your collective and individual goals. 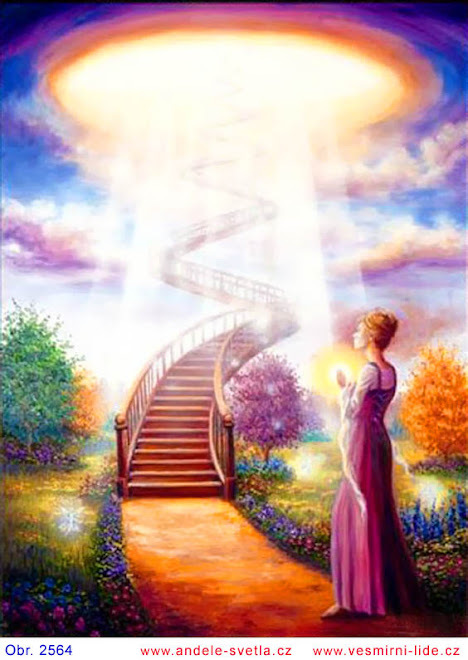 We have wished that conditions be made as easy as possible under the upcoming circumstances, for all to choose the path of your Higher Selves greatest desire; the path which leads to your ultimate liberation. We are excited to say we believe we have come to this place where all may shift gear to the places of their highest choosing, should they wish to do so. Although it is with some regret that not MORE shall be joining us as we go forward in the CREATION of a brave new world. This is the nature of free will. The numbers of those we know about so far are small but powerful. And we believe this group has it within them to lead and inspire the masses. ...and we leave this with you for now. I AM your everloving Mother Mary at your service eternally. And I now take my leave. Blessings be upon one and all. Although I enjoyed reading this piece and found the list extremely relevant, I don't endorse any of the Cobra material the author does. The Guardian Alliance is the conglomerate of multidimensional Kryst Collective that spans 15 dimensions and beyond. You can peruse some books written by Anna Hayes at www.azuritepress.com for more information. Most but not all of the Sirians are GuardiansLightWarrior 300x225 Are You a Guardian? dna pictures3 Are You a Guardian?When the frequencies of the Density-4 (dimensions 10,11 and 12) and above are embodied, a biological being can undergo full cellular transmutation, returning to the Density-4 Liquid Light Pre-matter state for full Ascension out of Density, rather than experiencing repeated cycles of death and rebirth within the Density system life cycles. A being with a sustained activation of 12 DNA Strands and resulting embodiment of the Maharata and its corresponding 12 dimensions of conscious awareness is known as an embodied “Mahara” (bearer of the Maharata eternal life current), “Avatar” or “Christed Being”. The primary earthly human lineage is an Angelic Human Christiac Grail Line the carries the dormant 12-Strand DNA Template potentials; certain portions of earth human Grail Line population carry the 24-48 Strand DNA Template of the Rishi and Yani (Yanas) “Eieyani Grail Lines.”The Eieyani Grail Line humans presently incarnate on earth are known as the Type 1 and 2 Indigo Children. 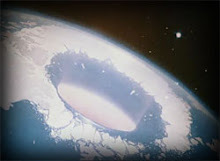 The process of Dimensional Ascension and biological and planetary Evolution is the process of accretion or of drawing of successive multidimensional frequency bands into the morphogenetic field. As the planetary body or human body evolves through frequency accretion, the energetic capsules within the Auric Field progressively undergo transmutation of form. The particles contained within the dissolving auric capsules open into the auric capsules of the next three highest dimensions, in the next Harmonic Universe up. This is the energetic dynamics by which forms and consciousness progressively evolve from one Harmonic Universe to the next. stargate3 Are You a Guardian?Stargates are natural occurrences in the structure of a body of a thing – be it a person, a planet, a bug, a star – they are a natural part of the energy dynamic structures that exist in manifest form. key 300x116 Are You a Guardian?There are those that come to the physical plane that have the necessary keys that can open up these doorways in time and mind, allowing you to gain access to that wealth stored within. These individuals are unaware of their capabilities as the individuals who are the keepers. You may encounter them at any time or any place. You could have only the slightest conversation with them but that conversation is enough to open up that passageway of mind so you can gain access at any time or any place. All minds are connected to the “mind” and all are capable of gaining access. Individuals who are born with special missions from the creator and who are assigned…a secret purpose and they have no idea that they have presented you with the key to gain access to parts of your own consciousness that could never have been opened if not for them. hall of amenti 300x225 Are You a Guardian?There is a lot at stake here, because we have something, we have a precious jewel that we don’t even know we have. It’s called “The Halls of Amenti.”They are Stargates that link on a vertical rather than on a horizontal plane, through various star systems, all the way to the highest pre-matter dimensional fields. They are a ticket out of space-time.